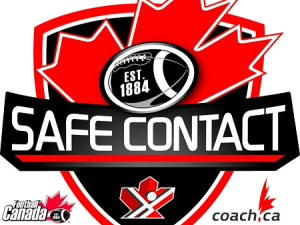 Football Canada would like to remind the football community that as of March 31, 2017, all member coaches must be Safe Contact trained in the latest safe blocking and tackling techniques in order to step out onto the field. The requirement applies to any coach of an amateur team or club that falls under Football Canada’s umbrella. Any new coach has a year from the time he or she first steps on the field as a coach. There is a parking lot beside the building, parking is $5.00 – no exceptions. • Create an account and generate an NCCP Number (if they do not yet have one) at www.coach.ca – far right tab – The Locker.